Thanks to Google Analytics and amazing data evangelists for popularizing analytics and the use of data in digital marketing! 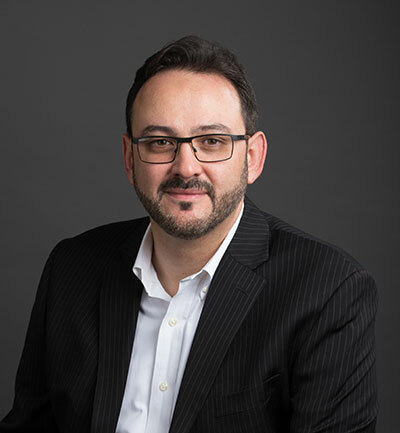 I recall a conversation I had 12 years ago with Kurt Peters, the editor in chief of the Internet Retailing Magazine, explaining to him how many of the large retailers we were working with back then either did not have analytics installed on their websites, and if they did, they did not have a team to analyze the data. Fast forward to 2017, things have changed quite a bit. Most companies we talk to nowadays have a dedicate team (or person) looking at analytics. But now we are facing a new challenge. 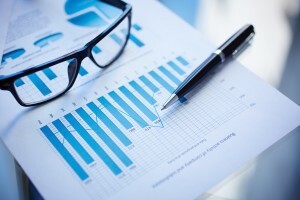 We have many analysts who are dedicated to collect and generate data from analytics programs. However, few companies know how to use analytics to derive meaningful business insights and decisions. Sadly enough, the role of an average analyst seems to be limited to simple weekly or monthly reporting. Sorry, I will be brutally honest in the next couple of paragraphs at the risk of offending some people. I hear too many consultants say that analytics data tells you about what is going on your website; but it doesn’t tell you why it is happening. Consultants who make such statements are most likely new to the field of data management and data optimization. This problem is compounded due to very little formal college education to help new graduates and those seeking a career in analytics. 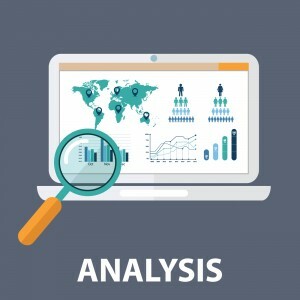 Analytics not only tells you what is problems you have on your website; it will also tell you what changes you need to make to fix these problems. You just have to examine and analyze the data carefully. Many analytics consultants are able to examine data and identify a particular problem in visitor behavior. They do not do a good job explaining why a particular problem is happening, the impact of that problem on the website and the potential revenue gain by fixing that problem. In the following chapters, we will focus on how Google Analytics can contribute to your CRO process. We focus mainly on Google Analytics since 90% of the companies we talk to regularly use it as their main analytics tool. Standard content reports generated by Google analytics describe metrics/performance of a single page. These reports are useful at an introductory and general level. You will have to create many custom reports, goals and funnels to be able to track visitors’ behavior around your website. Goals help you measure the visitor flow from one page of your website to the next. You can measure the percentage of website visitors that navigate from your homepage to services pages for a SaaS company. For an e-commerce website, you can track visitors moving from category pages to product pages and so on. To create your first GA goal, login to your Google account. Click on the “Admin” in the left navigation which will take you to the administration panel for your Google analytics account. On the admin panel of your Google analytics account, click on “Goals” in the View column. The goals page lists all the different goals you already have setup for your account. If it happens that you do not have “New Goal” button on Goals page, you do not have the required permission. To see “New Goal” button you should have “Edit” permission at account level. If you have the right privileges, then you will see the “New Goal” button. Destination: These GA goals are measured by website users visiting a web page. Examples of a destination goals could be order confirmation or thank you page from a contact form. Duration: These Google Analytics goals are measured by the visitor spending more than a certain time. For example, you might be interested in tracking visitors that spend more 30 seconds on your website. Pages/Screens per session: These GA goals are measured for visits that have more than a certain number of pages per session. For example, you might be interested in tracking visitors that visit more than 3 pages of your website in a session. Event: These goals measure different events tracked in Google analytics based on the event category, action, label, or value. Smart Goals: these goals use machine learning to analyze different signals about your website visits to determine which of those are most likely to result in a conversion. 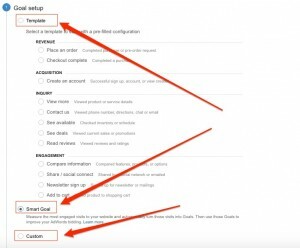 Smart goals are popular for AdWords conversions. While there might be some benefit of using smart goals, they are a lazy way out. Do not expect Google to do the heavy lifting on your behalf! Remove/delete its different steps and rename the goal to something so that you signal to yourself and other team members that the goal is not a valid one. Change the name and the steps with another goal (make sure to annotate your GA account when you made the switch), let it live and remember that you are not paying for GA. Initial data collection takes 24 hours: After setting up the goals, it takes up to 24 hours for initial data collection and for the goals to be populated. This becomes an issue for many beginners because they setup the goals and wait for 24 hours to discover that they had a mistake in a particular step. That is the reason you should pay close attention to every URL you are including in the goal setup. They are not real time: goal data is not real life data which is typical to other data forms from Google. No segmentation: We love segmentation and GA did an amazing job adding both standard and custom segments. The only problem is that there is no way to apply these segments on top of GA goals. This is a huge drawback. There is no work around to this except creating different Google analytics views to represent the segments you want to track and re-create the goals in them. This seems like a lot of work and data duplication but as of now, this is the only way open available. Many marketers like to use funnel visualization reports since it provides with a nice visualization of the visitor flow through the website funnels. There are couple of other points that are important to understand if you start using funnel visualization report. The Funnel Visualization report backfills any skipped steps between the step at which the user entered the funnel and the step at which the user exited the funnel. Thus, this makes the report not quite accurate. There is another peculiarity of this report that you should be definitely aware of. “For example, let’s say your funnel is defined as /step1 > /step2 > /step3.html > goal.html. A user then had this session: /xyz > /step3 > /step2 > /abc. 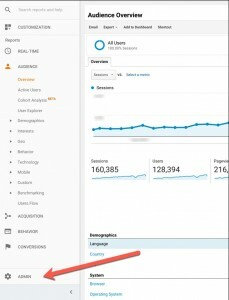 The Funnel Visualization report would show an entrance from /xyz to /step2, a continuation to /step3, and an exit from /step3 to /abc.”, according to Google Analytics support. When setting up goals, Google allows you to select a checkbox, if the first step is required or not. It is important to understand that “the required first step applies only to the Funnel Visualization report. When you check that the first step as required, the Funnel Visualization report only includes goal conversions that pass through that required step”. While the funnel visualization report is excellent in theory, the backfill and the order of funnel steps features make this report inaccurate and not very reliable in most cases. What is the best way to deal with google analytics backfill and order of steps issues in funnel visualization report? If you create goals in Google Analytics then use the goal flow report since it avoids both of these issues. The goal flow report also maintains the same order which visitors went through going through the funnel. As an added HUGE bonus, the goal flow report allows for advanced segmentation and allows you to compare data from different dates. These types of goals will have two steps: the starting point and the end point. So, there are no steps in between (no middle pages). This might be limiting but it does avoid the issues of backfilling and visitor order mentioned above. For further reading on the difference between the Funnel Visualization and Goal Flow reports, we highly recommend reviewing Google analytics help page here. Humans are not linear when they navigate around a website. We jump from one page to the next. We go back and forth. While there is good value from single page reports, increasing a website conversion rate requires us to setup and analyze many goals around the website. In order for the visitor to convert on your website, he will go through many steps. 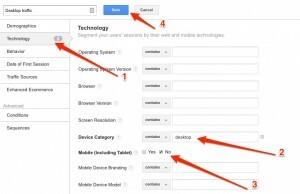 It is critical to setup different goals to track the visitor navigation through these mini funnels. Homepage to Category pages: this is a goal that tracks the navigation from your homepage to the different category pages on the website. Category pages’ flow through rate (to product page): this is a goal that tracks the navigation from the different category pages to the product pages on the website. Search to product: this is a goal that tracks the navigation from the search results pages to the product pages. Search to conversions: this is a goal that tracks the navigation from the search results pages to the conversion pages. Pre-product page abandonment rate: This goal tracks the number of website visitors that land on your website but never make it to your product pages. If you have enhanced ecommerce implemented on your website, you can see this metric reported without having to setup a goal. Product to category page flow back: this is a goal from product pages back to category pages. Product page effectiveness rate: this is a goal that tracks clicks on the add to cart button from product pages. Product page to cart page flow rate: if your ecommerce implementation does not take visitors to the cart page after the visitor clicks on the add to cart page, then this goal tracks the visitors’ movement from product pages to the cart page. Cart to order confirmation: this is the goal starting with the cart page to order confirmation. This goal will allow to calculate your cart abandonment rate. Checkout completion: this is the goal starting with the first step of the check to order confirmation. This goal will allow to calculate your checkout abandonment rate. Please note that these are the 10 minimum goals that you should track on your e-commerce website. Most SaaS and lead generation websites are less complex compared to ecommerce websites. And while you deal with different classes of pages when it comes to ecommerce websites, this mostly not the case with SaaS and lead-gen websites. Lead magnets: if you have a blog and offer some freebies to download, set up goals for people who download them using either event or “thank you” page. 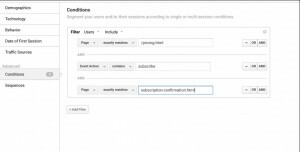 Email subscription: set up goals for email subscription pages. Later in goal report you will be able to check which page brings more email subscriptions. Trial requests: a simple goal that will track how many people clicked “Trial” button, if you have one. Enquiry submission: if you have any enquiry forms (contact forms), set up goals for them as well. Sign up: last but not the least, don’t forget to set up goal for sign up button (as even) or “thank you” page. Further, as you dig deep into analyzing data, you should segment data by source and medium. How do you create segments in Google analytics? 1. To create custom segments, navigate to the admin side of your Google analytics account. This will take to the screen which you can use to create new segments. This is a segment for the visitors how who click on the add to cart button but never place an order. Setup for this segment will depend on your e-commerce implementation. Select “Include” from the drop down to include visitors in this segment. 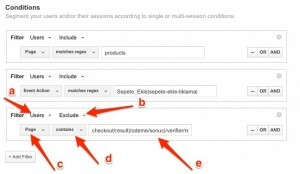 include the regular expression for your product pages. Select “Exclude” from the drop to exclude visitors who placed an order. Input the regular expression for your product pages. If you only have single order confirmation page with a unique url, you can select “Exactly Matches” and include the URL of the confirmation page. 1. Click on “Conditions” under advanced in the sidebar. Select a filter for “Users” from the drop down. Select “Page” from the first drop down. If you are triggering an event when a visitor clicks on add to cart button, then select “Event Action” from the drop down. Include the regular expression for the “Subsribe” event. Select “Exclude” from the drop down to exclude visitors who placed an order. If you only have single order confirmation page with a unique URL, you can select “Exactly Matches” and include the URL of the confirmation page. To decrease loading latency, Google Analytics employs data sampling when the number of sessions exceeds 500k in the selected date range (GA basic plan). Otherwise, “each reporting view associated with a property creates a set of unsampled, pre-aggregated data tables, which are processed on a daily basis”. And when the number of sessions/property exceeds 500k, the analytics algorithm will use a sample set that is proportional to the distribution of sessions by day for the selected period. Note that standard reports are not affected by data sampling. Only custom reports are, and this is indicated at the top of the page in Google Analytics. So, what does this mean from a conversion perspective? Data sampling is a valid statistical method, but it increases the range of error in your data. Meaning when you look at sampled data, always keep in mind that the level of accuracy is not at 100%, and actual numbers may vary slightly. One simple way around this is to change the date range to a smaller period of time. This will reduce the number of sessions to an extent that Google Analytics would not sample the data. 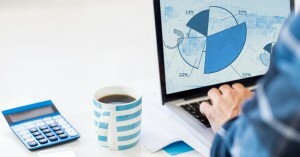 You can also check out those 8 Ways to Get More Data from Analytics. Always send your AB testing data to Google Analytics. Even if the software you are using reports data, another tool can’t do harm. Now keep in mind the data itself may vary from one tool to another (either because of sampling or the method for collecting the data), but Google Analytics gives you more insights than other tool, since it is probably already integrated on your website across all the URLs and events. For example, sending your data to Google Analytics enables you to measure which variation did better for visitors who viewed a certain set of content on your website (a blog post or an FAQ page). And the same concept goes for the other segments you can apply. Why I Hate Bounce Rates? It is difficult to listen to or watch a presentation about analytics/SEO/CRO without hearing the speaker mention pages with high bounce rates are pages optimal for conversion optimization. The term bounce rate was first coined by Avinash Kuashik back in 2006. Bounce rate is the percentage of visitors that land on your website and leave without ever visiting a second page. Bounce rate measures the ability of a single page of your website to persuade visitors to stay on the website. In that sense, bounce rates can be very powerful. However, in our search for “easy” ways to optimize a website, bounce rates were misused in situations where they are not a good fit. Analytics measures users’ behavior on a website. Thus, using data from analytics without thinking of visitor intent will result in bad conclusions. When to use bounce rate? Bounce rate is an excellent metrics if you would like to measure the effectiveness of a landing page you created for a campaign. It tells you if that landing page is providing the appropriate amount of information for visitors to stay on the website. When should you ignore your bounce rate? If you are running a content website, then bounce rates might mean very little for you. Remember, we are trying to understand visitors’ intent. Most people see a link in social media, an email, or in blog, then click on it, read the article and then leave the website right away. A friend of mine that publishes very unique and well researched content was complaining to me that his bounce rate on some of these articles was close to 90%. Mind you that his team sometimes spends months researching the content. “What is wrong with our content?”, he asked. Nothing was wrong with his content. People were landing on the article from an email campaign. They read the article. And then they left. They did exactly what most of us will do. We can, of course, get into the nitty gritty of what actions visitors could take (subscribe, share, etc) but let’s focus on the big picture. Exit rates measure the percentage of your website visitors, who visited another page and then decide to leave the website at this particular page. At some point, every visitor of your website will exit. The bigger problem with bounce and exit rates is that they measure the behavior of visitors on a single page. But our decision as humans to leave the website is the result of navigating around the whole website. It is not always sensible. Sometimes it is just a shot in the dark that changes everything. That is the reason, I find that setting up funnels and goals a lot more effective and powerful. 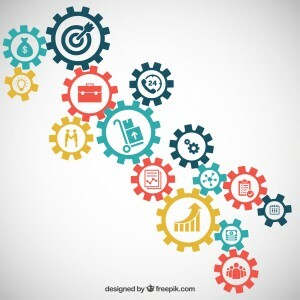 Conducting conversion optimization requires you to spend your time equally divided between analyzing analytics data, analyzing qualitative research data, coming with new designs, and testing which design increased conversions.